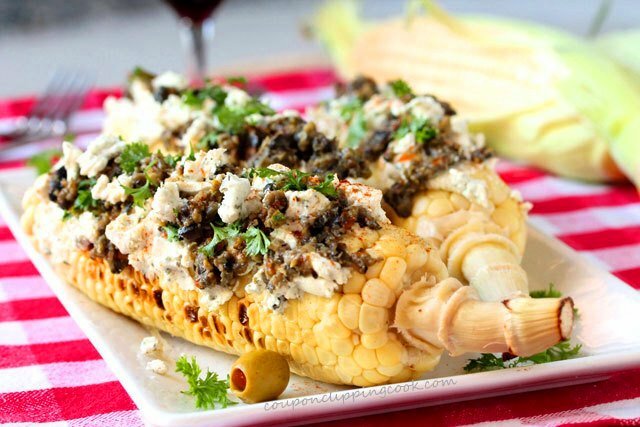 Corn on the cob like no other. 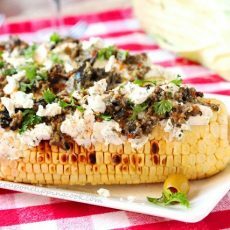 As if corn on the cob isn’t good enough on its own, how about grilling it and topping it with goat cheese and a quick and easy olive tapenade. 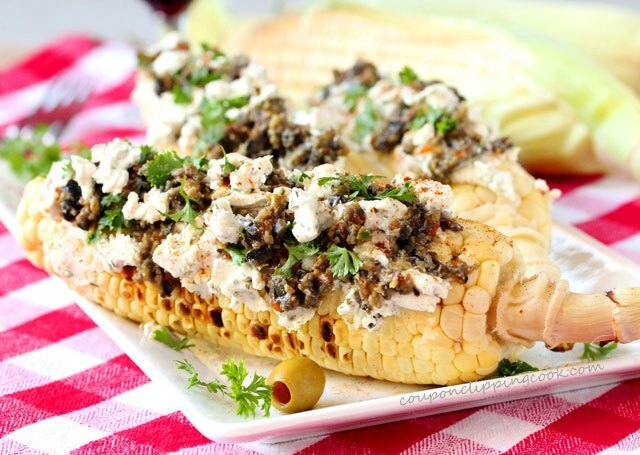 The goat cheese in this recipe is chive and onion flavored. 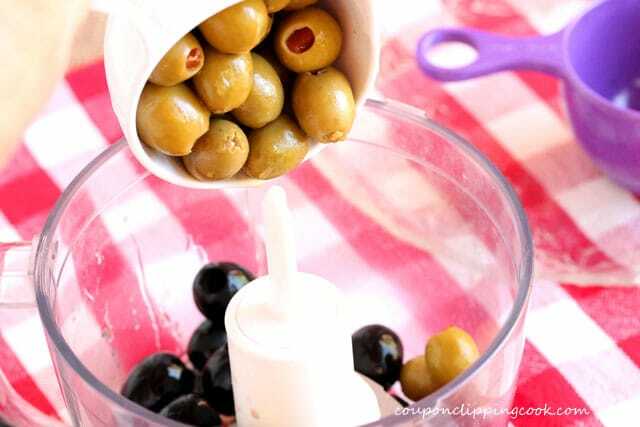 If preferred, chive and onion flavored softened cream cheese can be used instead. 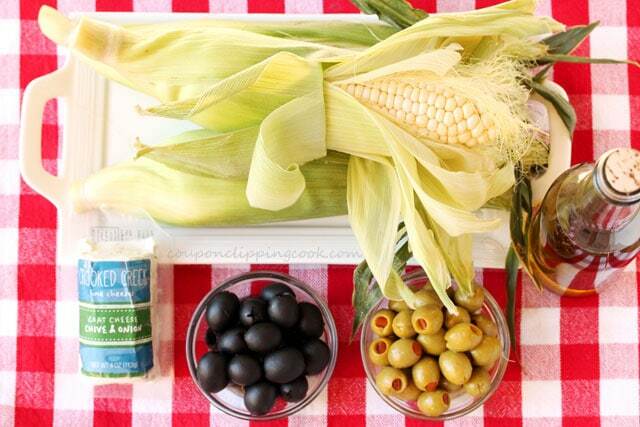 The combination of the grilled corn, goat cheese and saltiness of the olives tastes really really good together. 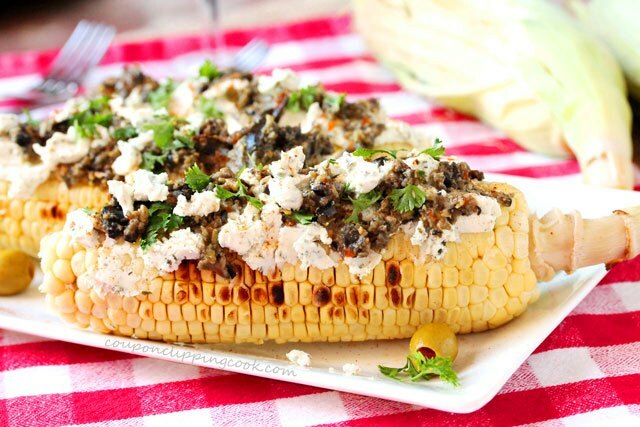 And the goat cheese adds so much richness to the corn that it could be a light meal in itself. 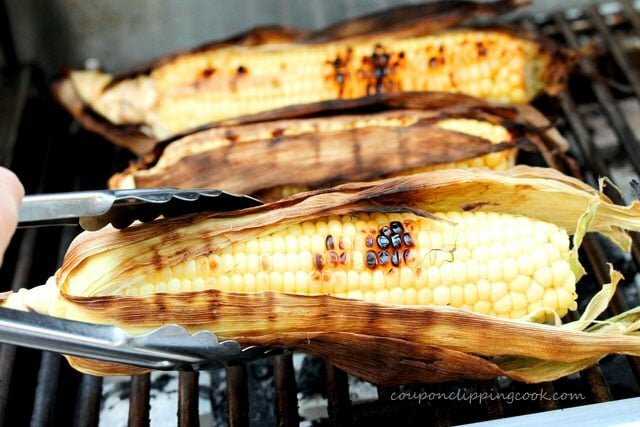 The corn is grilled right in the husk and only takes about 15 to 20 minutes to cook. And the best part, no pot to clean. 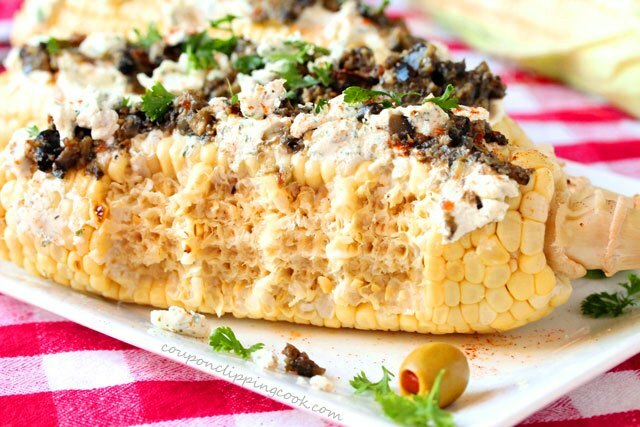 Ok, so there may be some pieces of corn silk that need to be cleaned up, I’ll admit that. 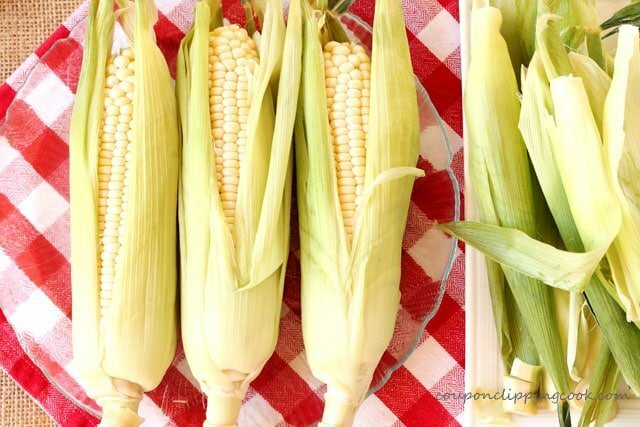 When I’m cleaning corn on the cob, no matter how hard I try to put the corn silk in the trash, some of it ends up on the kitchen floor. 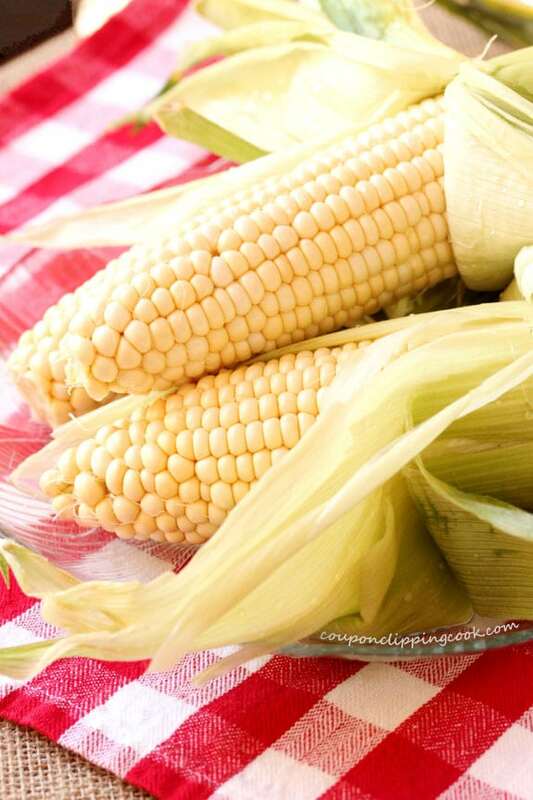 For each ear of corn, pull the husks down (but not off), rinse the corn and remove as much of the silk as possible. 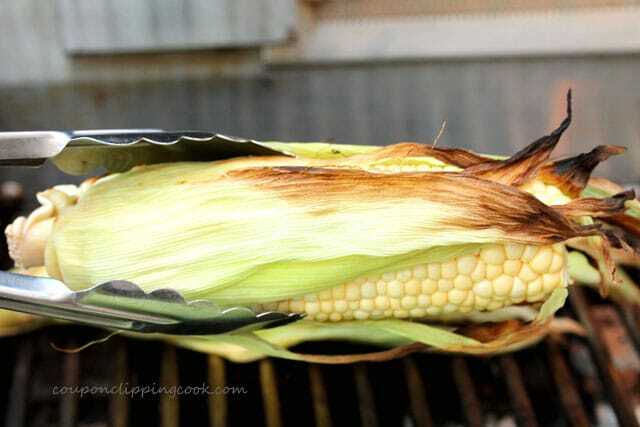 Thin out the husks a little bit by removing some of the outer pieces around the ear of corn. 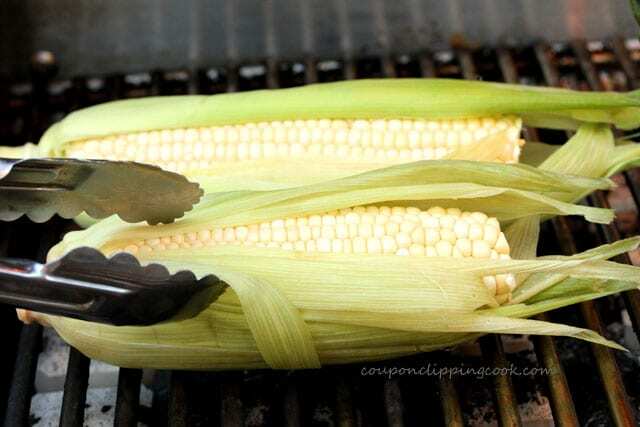 Also, completely remove a couple adjacent pieces of the husk to expose a section of corn so that it will char. 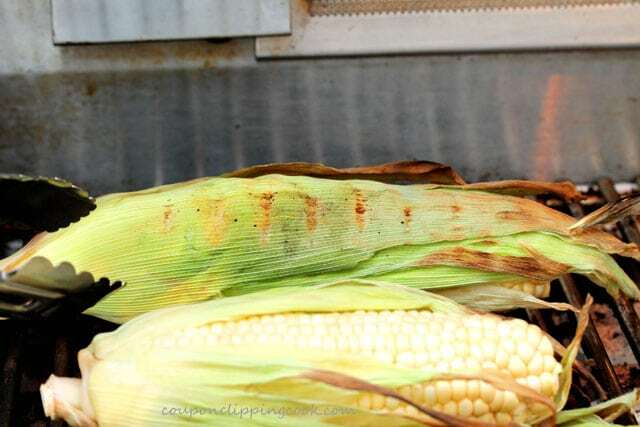 turn the temperature down to medium heat and place the corn (still in their husks) on the grill. close the lid on the BBQ. 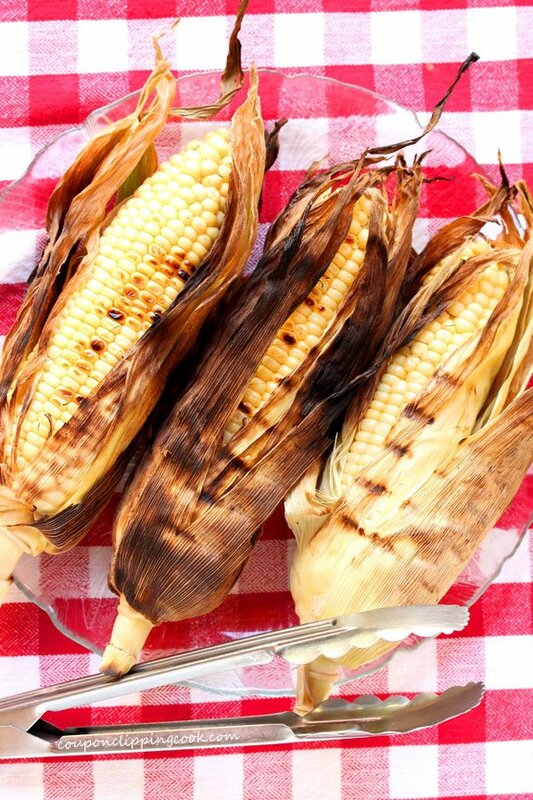 …the husks are charred (about 20 minutes). 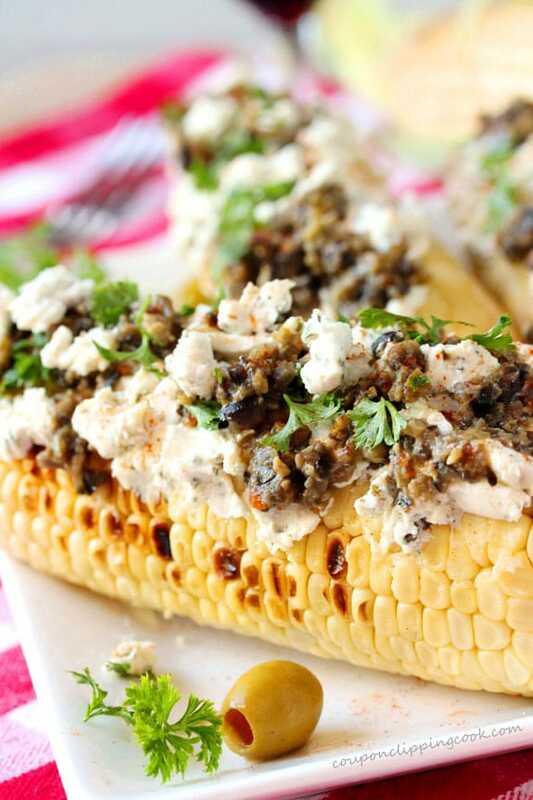 Remove the corn from the grill on to a plate and let cool. 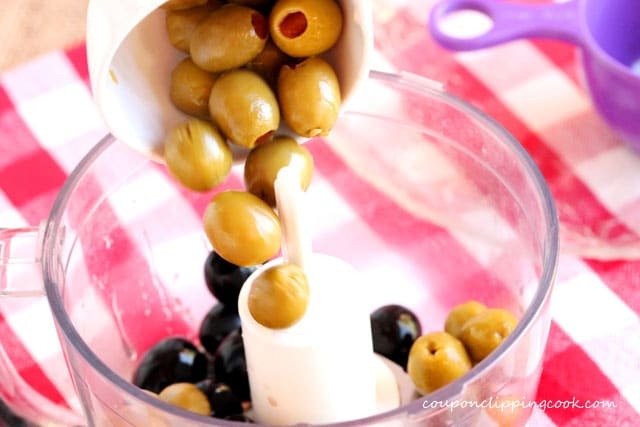 …and use the pulse (or grind) setting until the olives resemble a paste. Set aside. 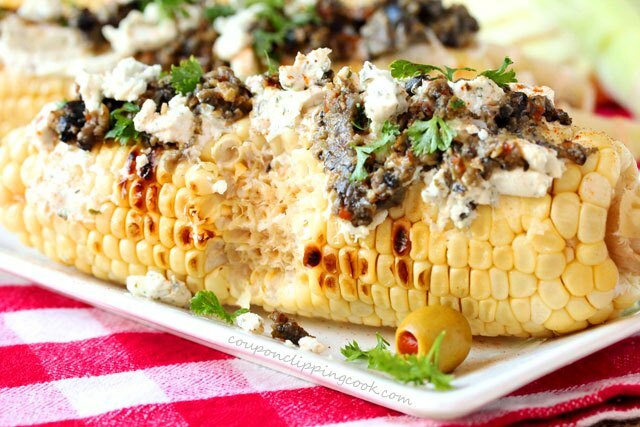 Once the corn is cool, spread goat cheese on top. 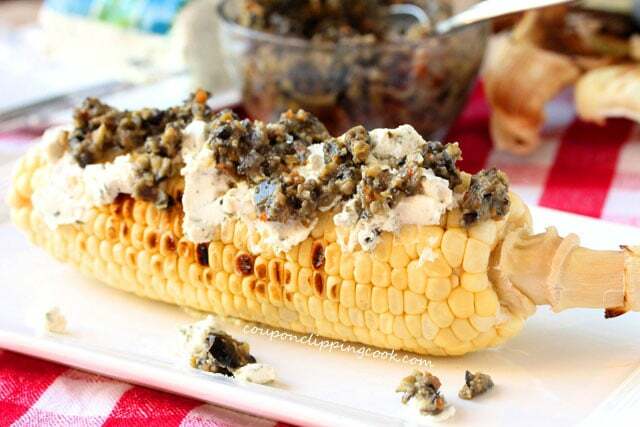 add tapenade on top of the cheese. 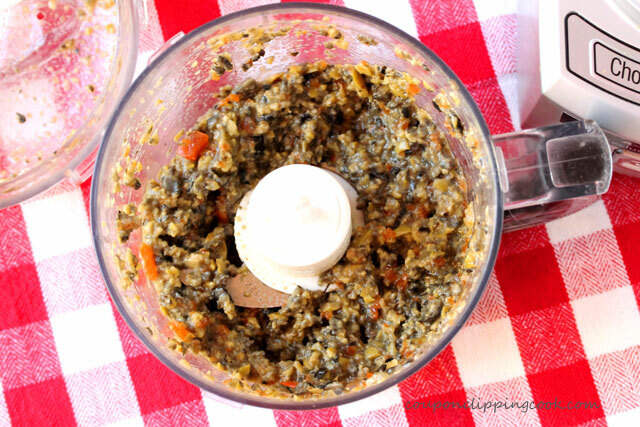 …or as a light main dish. 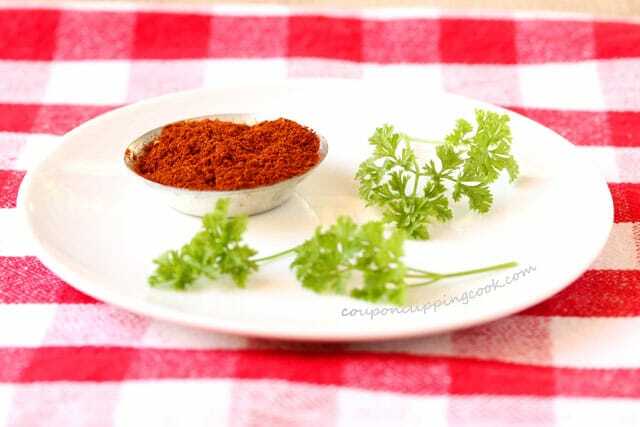 Preheat the barbecue grill on high. 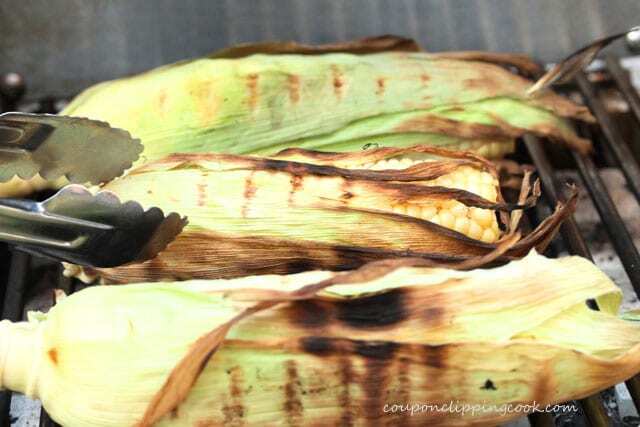 Completely remove a couple adjacent pieces of the husk on each ear to expose a section of corn so that it will char. 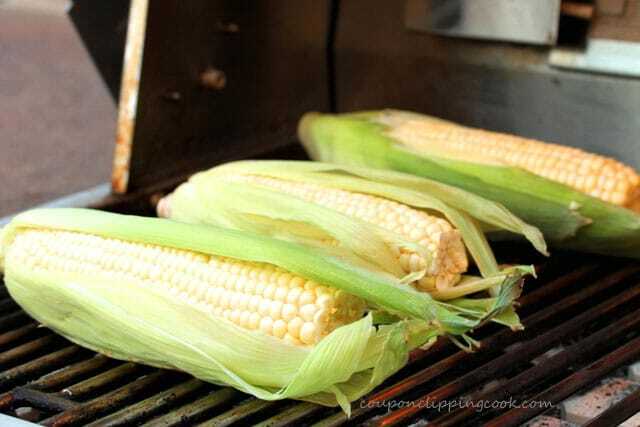 Once the grill is hot, turn the temperature down to medium heat and place the corn (still in their husks) on the grill. 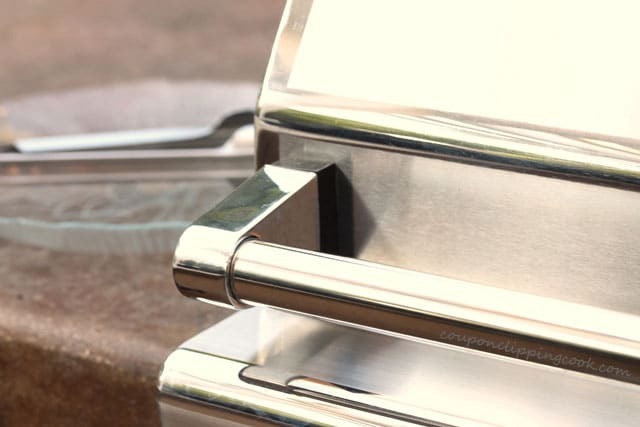 Close the lid on the BBQ. 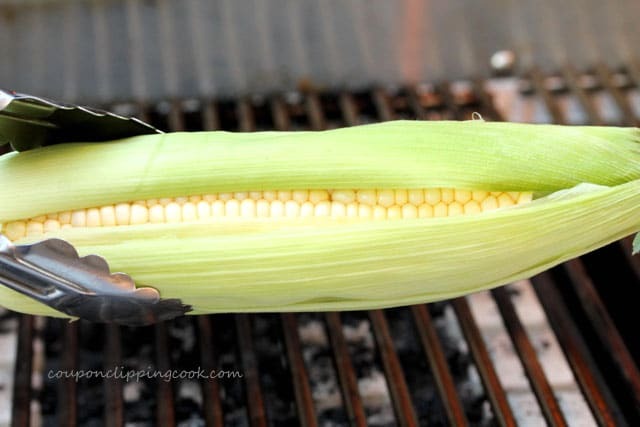 Turn the corn occasionally (about every 4 to 5 minutes) and let the corn cook until the husks are charred (about 20 minutes). 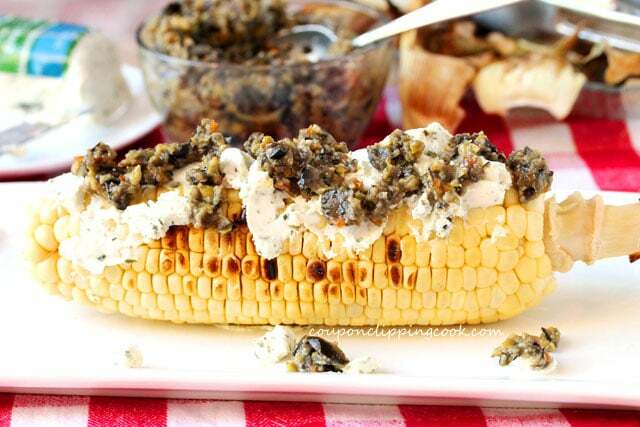 Remove the corn from the grill on to a plate and let cool. 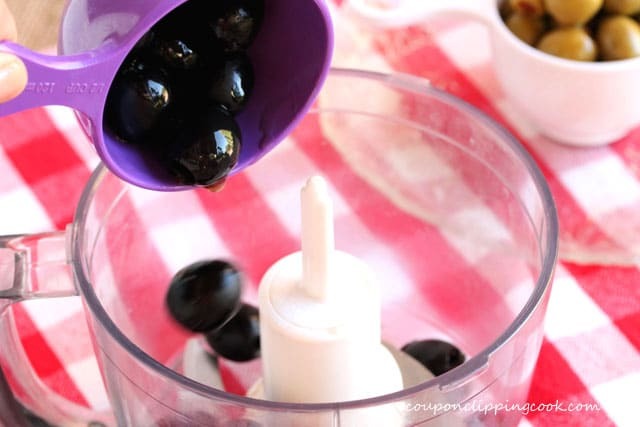 While the corn is cooling, in a food processor add black olives, green olives and olive oil. 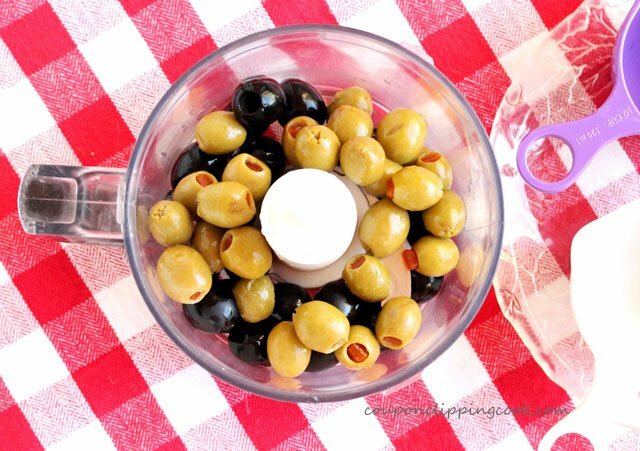 Use the pulse (or grind) setting until the olives resemble a paste. Set aside. 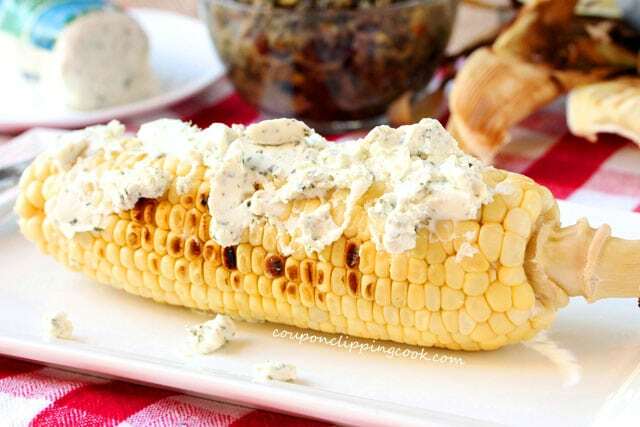 Once the corn is cool, spread the goat cheese on top of the grilled corn on the cob. 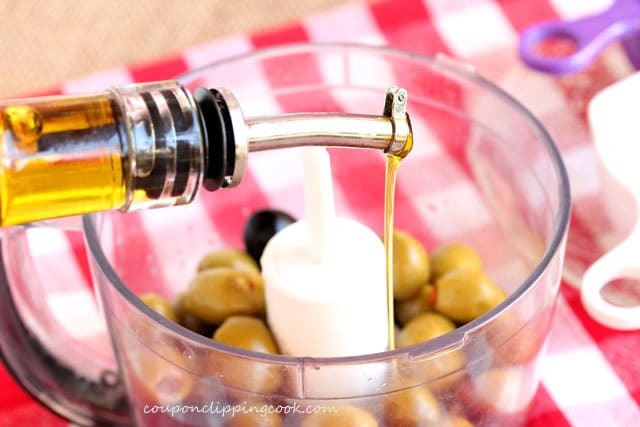 Add the olive tapenade on top of the cheese. 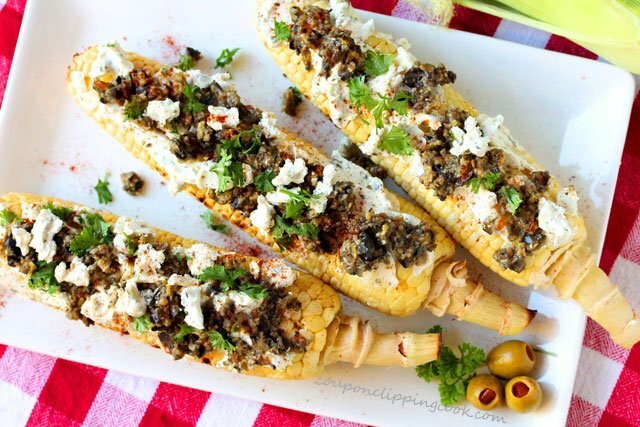 Garnish each ear of corn with a couple pinches of paprika and parsley and serve.